2019 Genesis Supreme 32CR 5th Wheel Toy hauler, with generator! 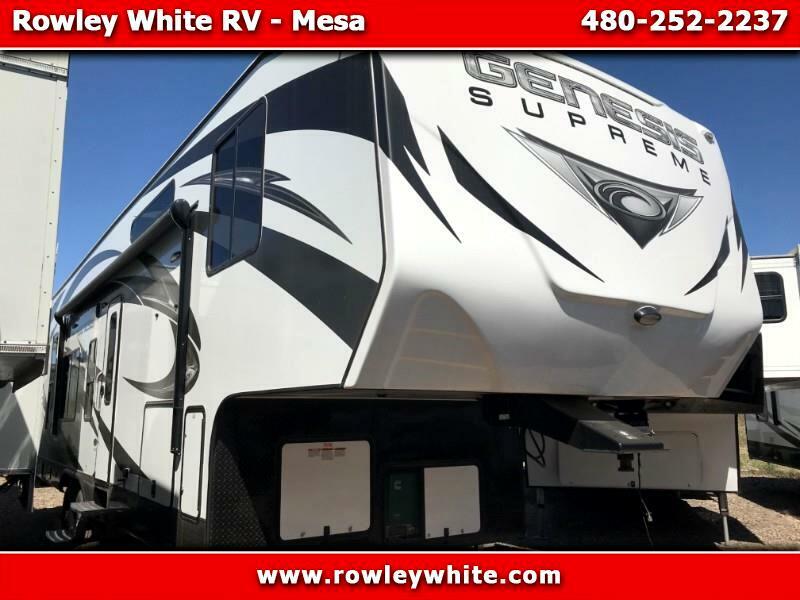 NEW 2019 Genesis Supreme 32CR Fifth Wheel Toy Hauler with living room slide out! The cargo area is 13 feet to the first cabinet and 18 feet to the cabinet on the other side. There is 78 inches below the rear bunk.